Folding Shape Shift Saw | BUDK.com - Knives & Swords At The Lowest Prices! 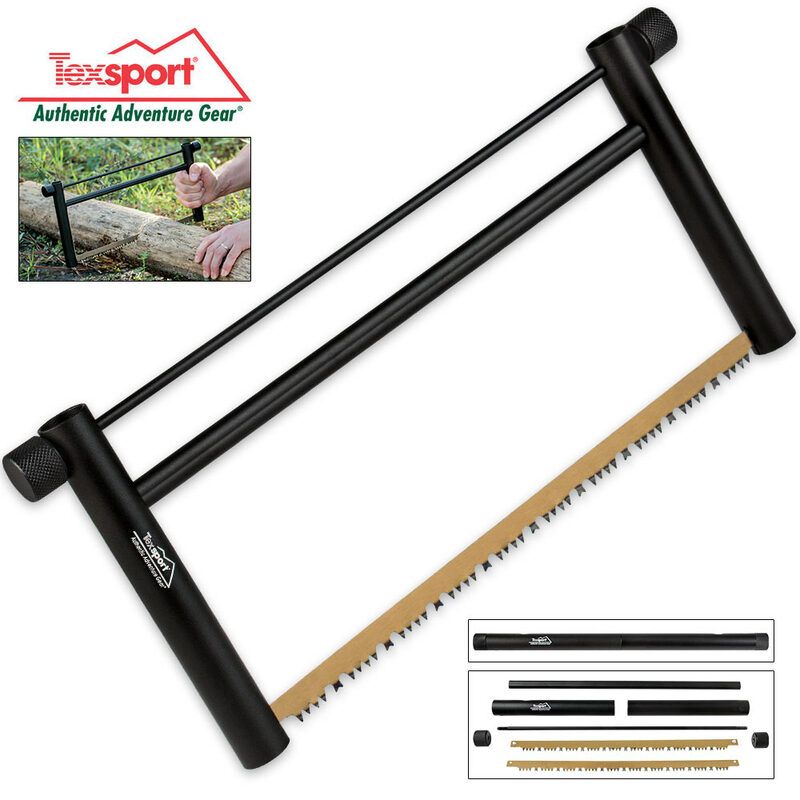 Do you need a wood saw that you can just take anywhere? The Folding Shape Shift Saw is compact and lightweight. It has a sturdy aluminum frame and weighs 9 1/2 oz with the saw blade. Two durable 13 3/4" stainless steel blades are included. Got this saw for my Army Son for Christmas. My Son loves it. It is perfect for a back pack. It is very light weight and it is very sturdy. I found the parts, even with both blades, stored fairly easy. I will be getting another one for myself for my Go Pack. Thank You CHK. Use this saw for the first time today while out on the side by side. 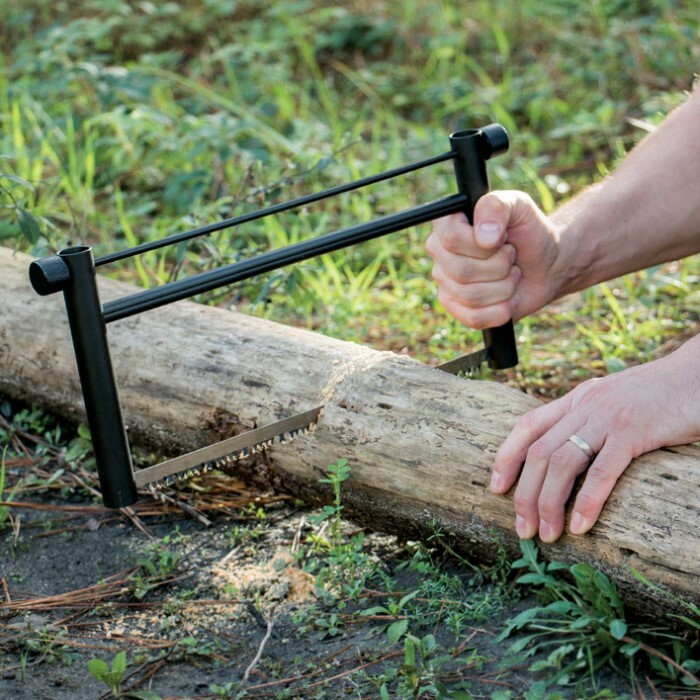 It worked great for cutting down some small trees on the trail. Stores well on the side by side. This saw is great. This is one of the best buck style saws I have used, and defiantly the best for its size and weight. I just finished cutting down some wood for my winter stock. It cuts wonderfully. It works better then my bow saws if larger size. The blade it easier to tension and therefore I do not get the wasted energy of the blade twisting. It all comes apart and fits into a very small area. Both included blades also fit inside the saw. This saw is great for backpacking, a vehicle saw, or light to medium work around the house. It is slightly tricky to figure out how to properly store the saw. Once I figured it out, it is not a problem. Some included instructions would had been helpful. When putting it into the stored configuration, put both handle ends together, end to end. Put the cross brace down the center. Place both blades on either side of the cross brace. Place the tension rod down the center of the cross brace and tighten at both ends. Once you figure it out, you can store the saw easily. Just might take a few tries. The blades are standard 14 inch bow saw size. 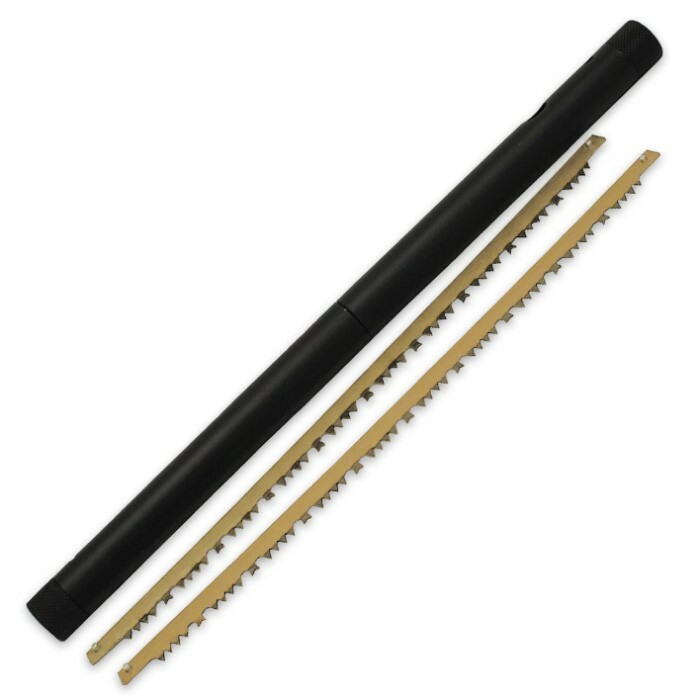 If you get replacement blades for this though, you need to put a rivet or bolt into the holes on the blade for them to work with this saw.